Formula 1000 is the fastest growing open wheel series worldwide, with professional championships in Australia, the UAE, England, and more. Stock engines and tube frame chassis ensure the most inexpensive way any driver can race at 170 mph. This one-of-a-kind racing series has proven a huge success, with ever increasing car counts, thanks to driver implemented cost controls, including tire allocations, appearance money for every driver, and committed sponsors with exclusive prizes. 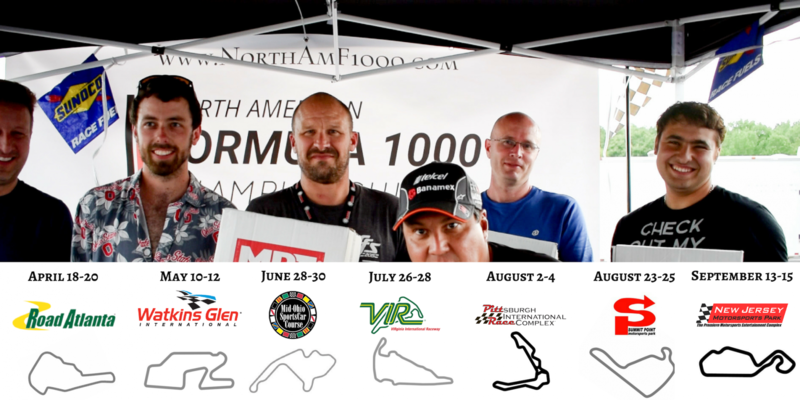 by North American Formula 1000 Championship LLC.